Houston's daughter discusses relationship with mother on Winfrey special, says comments about mom's documented problems were "garbage." 19-year-old Bobbi Kristina Brown said in an interview with Oprah Winfrey on Sunday that her mother was "an angel." In her first public appearance since the death of her mother, Whitney Houston, Bobbi Kristina Brown revealed to Oprah Winfrey that she is still trying to find a way to move on. 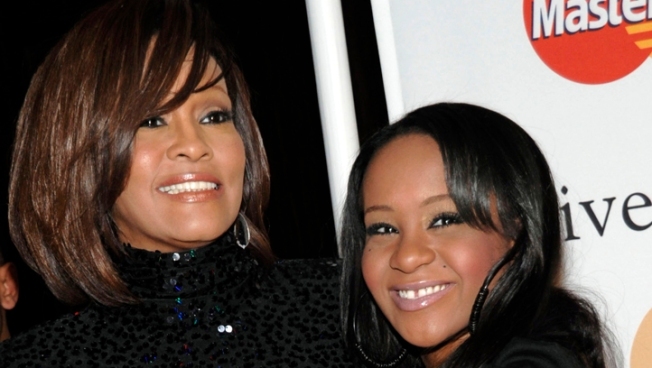 "I can sing her music, but to hear it now, I can't," Bobbi Kristina told Winfrey. "I can hear her voice telling me to keep moving, baby, I gotcha. She's always with me. I can always feel her with me. She used to always say, 'Do you need me?' And I said, 'I always need you.'" Like most teenagers, Bobbi Kristina admitted her relationship with her mother wasn't perfect. But that didn't mean they weren't close. "When it came down to it, I ran to mom," she said. Winfrey's 90-minute Sunday special was the first interview conducted with Houston's relatives since the pop star's death on Feb. 11. Houston's decline was tackled later in the show. Whitney's long-time manager and sister-in-law, Patricia Houston, addressed the tabloids' consistent speculation that Houston's longtime husband, Bobby Brown, was responsible for her addiction to drugs. "I don't think that's true," she said. "There was always so much outside interference. You're talking about two people who started out in the business very, very young." Patricia admitted that the family was aware Houston needed help for years. She said she knew Houston was in trouble since "the late '90s." In 2003 and 2004, Patricia and other members of the family apparently tried to help both Houston and her then-husband Bobby Brown with their drug problems, but were unable to make an impact. "We were always trying (to help), but the choice was always their—and hers," she said. Bobbi Kristina discussed her mother's well-documented insecurity, one mentioned by “Bodyguard” co-star Kevin Costner at her funeral. She described how Houston would look for a pick-me-up after a performance. "She would come to me and say, 'Did Mommy do OK? Did I look OK?'" Bobbi said. "I'd say, 'You're beautiful. You're fine. You're perfect.'" Winfrey’s series is called “Next Chapter,” but the majority of the Houston special focused on how young Bobbi Kristina and the family spent the last days of the pop icon's life. Pat shed tears describing the moment she knew Houston was gone, when her security guard performed CPR to the point of exhaustion with no results. During this wrenching segment of the interview, Winfrey evidently fought back tears, but ultimately let her emotions show. But of all of the stories, Bobbi Kristina’s recollection of the night before Houston died was the most emotional. Not feeling well, Bobbi Kristina asked her mother to lay with her. She did. All night. Bobbi Kristina wants to be a singer now. She knows it’s not going to be easy. She said her mother prepared her for it. She hopes to touch the world the same way her mother did. “She made an impact not only on a few people,” Bobbi Kristina said. “She made an impact on the world."